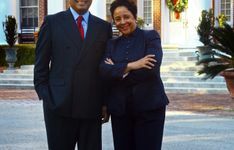 MIDDLEBURG, VA - Since its inception here in April 2005, Salamander Hospitality, LLC, founded by sports teams owner and veteran television executive Sheila Johnson, has been on a fast track. Thirteen months after its establishment it acquired the 19-room historic Woodlands Inn in the Charleston, SC, suburb of Summerville for an undisclosed amount. Another 13 months later it came to the market again, acquiring a much more ambitious asset, the 900-acre, 620-room Innisbrook Resort & Golf Club in the Tampa, FL, suburb of Palm Harbor, for a reported $35 million. Next up, Johnson and her team have set their sights on new construction while raising the visibility of the Salamander brand name in the process. The company has begun work on the $100-million, 168-room luxury Salamander Resort & Spa, which is scheduled to open in early 2011 here in the Middleburg, VA, outside of Washington. Three major projects undertaken in less than four years creates a pace that even experienced hospitality developers could find daunting. In addition, an extensive renovation was recently completed at the Woodlands Inn and an even more elaborate upgrade and expansion, valued at $25 million, is still under way at Innisbrook. Consequently, Johnson told HOTEL BUSINESS recently that Salamander’s expansion will slow, but not necessarily stop in the next period. “We’re growing slowly, but deliberately with an eye on the excellence. I want to make sure we don’t grow so fast that we lose our focus on quality,” she said. Certainly the national economic picture is bleaker than it was in 2005. “Looking at the big picture view at the moment we do see a slowdown and there’s no question people are nervous,” Johnson acknowledged. “There’s no doubt too that things have got to change and that the economy is in a correction.” As for Salamander’s lodging investments to date, she’s prepared to take the long view. “I don’t think it’s bottomed out yet and 2009 is not likely to be a good year. But I think that by the end of 2009 demand is going to start coming back,” she noted. 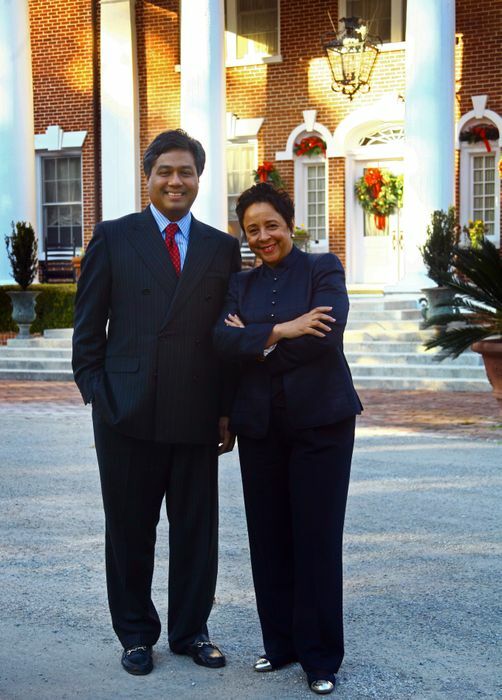 Given the troubled economy, not many companies are prepared to spend millions of dollars to improve and expand their portfolios, added Salamander President Prem Devadas. “Considering the size of the investment we’re making, we feel we’ll be poised to have an advantage over competing products out there once we come out of the downturn,” he said. One plus to the current portfolio is that each of the three properties has its own market niche. The small Woodlands Inn, housed in a building that dates back to 1906, attracts high-end leisure business. Innisbrook, by contrast, with 65,000 square feet of renovated meeting space, is a group house intended for conferences as well as leisure bookings. A major attraction is its four golf courses, including the highly rated Copperhead course, which hosts a Professional Golfers Association Tour event each March. The new Middleburg resort will be the first of the properties to carry the Salamander name, which Johnson feels strongly about. “Both the Woodlands and Innisbrook had names that were well known in their markets, so it didn’t make sense to change that. But with Middleburg it’s an excellent opportunity to start building brand recognition for the Salamander name,” Johnson said. Separate from outright ownership, Salamander plans to grow through third-party management agreements. Johnson and Devadas have already identified two projects-one in Blacksburg, VA, the other in New Orleans-that are on the track to be the company’s first managed properties. “While neither is yet under construction, we’ve been retained by the developers on the development and design phase of the projects. One is a new build the other a renovation of a historic building,” Devadas said.